Wine, food, music, sea and sun… what’s not to love? 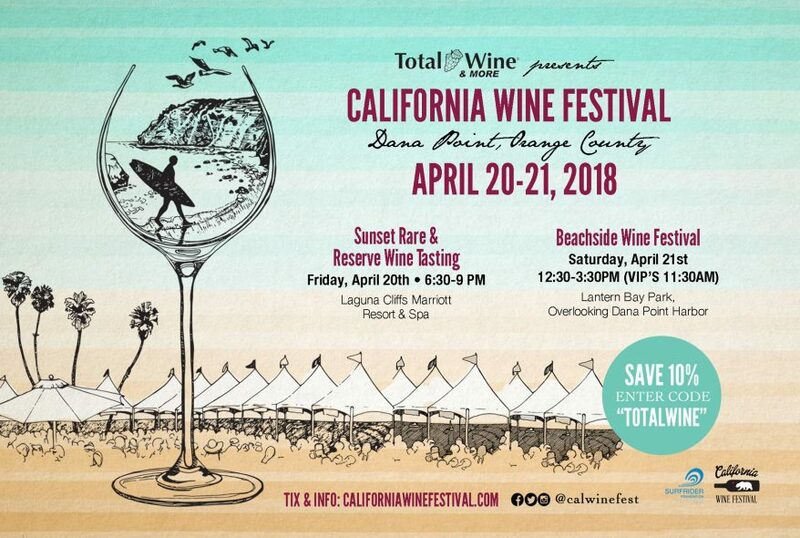 California’s best wineries pour hundreds of vintage red and white wines, complemented by dozens of the region’s top chefs and specialty food purveyors serving gourmet appetizers along with live music and an ocean view. Experience one of the California’s most popular wine festivals right here in Dana Point. The “Sunset Rare & Reserve” Wine Tasting on April 21, 2018 will feature rare and reserve level bottles that winemakers will dust off and pour. Top regional chefs will serve hot and cold appetizers. Live jazz. The Beachside Wine Festival will hit the grassy, palm-lined Lantern Bay Park on April 21, 2018. Sip and savor nearly 300 wines and dozens of gourmet food samplings. Craft brews will also be offered along with artisan cheeses, breads, fresh cut fruits, olive oils and much more.